For dance teachers LBMS is useful for establishing good pedagogical lesson structures, for improving verbal guidance skills while teaching movement, and for refining the observation and correction of problems. Laban deliberately did not develop a dance technique because he wanted to promote the dancers individual path. Dance and theater students who work with LBMS expand their creative abilities and discover new growth opportunities by recognizing movement patterns and personal preferences, as well as expanding them through LBMS. Thanks to the improved movement observation, complex dance sequences can be perceived faster and with more precision. For choreographers / performing artists LBMS can be a source of inspiration as it can open up an almost inexhaustible range of variations through experimenting with an existing vocabulary. In addition, they can also be used as a tool by which one can consciously develop a personal style through the synthesis of the various elements. 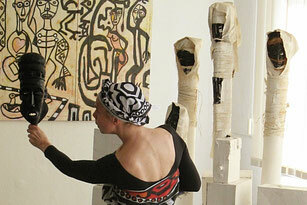 Furthermore, they will facilitate communication with the dancers through a common terminology. 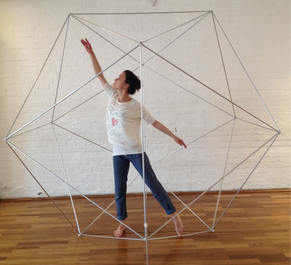 For the dance therapists / somatic movement practitioners LBMS is a reliable structure to grasp the movement repertoire of clients, make a precise diagnosis and to create an adequate intervention. A client’s movement can be described with the parameters of LMBS in an objective way and thus promotes verbal reflection for conscious integration of the experience. Dance and movement scholars can use LBMS for precise analysis in relation to their hypotheses. The LBMS terms and the corresponding systematization support the study of movement. One can choose different methods for qualitative and quantitative research and analysis on the macro as well as the micro level. 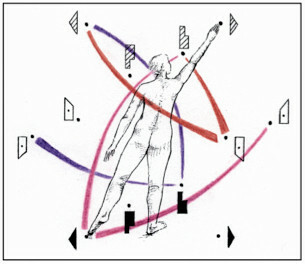 The observation process can then be documented in the different notation options to then be reproduced by other dance scientists. 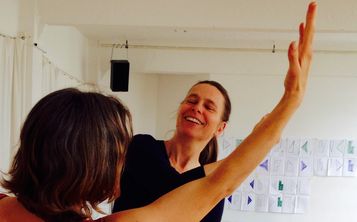 The goal of the EUROLAB Certificate Programs in Laban/Bartenieff Movement Studies is to gain a comprehensive understanding of movement, as well as to link the inner and outer experience of movement. The movement studies are always put into a theoretical context, which can only be understood through your own movement experience. This approach produces new connections and a new kind of holistic understanding: “moving knowledge“. In other words, you will improve your work with movement, because of an in-depth knowledge of how you and others move. Both programs finish with a certificate: The Basic Level with the certificate Basic and the Advanced Level with the internationally recognized title "Certified Laban Movement Analyst" (CLMA). The certificates are awarded by the European Association for Laban/Bartenieff Movement Studies - EUROLAB e.V. The EUROLAB certificate programs are approved by the „International Somatic Movement Educators and Therapists Association” (ISMETA). EUROLAB e.V. was founded in 1988 as a non-profit organization. Its aim is to promote all activities in the area of the Laban/Bartenieff Movement Studies through classes, projects, performances, lectures, research and therapy.